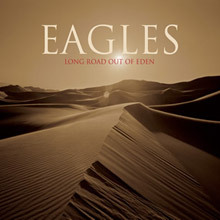 Although he is best known as a principal founding member of The Eagles, their drummer and celebrated singer and songwriter of such hits as ‘Hotel California’, ‘Life in the Fast Lane’ and ‘The Long Run’, Donald Hugh Henry (born 1947) from Gilmer, Texas is also a most accomplished solo artist whose four album releases to date include the epic modern rock classics Building the Perfect Beast, The End of the Innocence and two superior collections which we are pleased to have available for your listening delight. Befitting his status as an icon in American music Henley is a regular hit maker whose successes are marked by the all-time classic tracks ‘The Boys of Summer’, ‘All She Wants to do is Dance’ and ‘The Last Worthless Evening.’ Added to his various Platinum sales figures one also finds a man who has become increasingly involved in political and ecological campaigns. A sharp critic of various US administrations Henley has used his influence before the Senate to stand up for the rights of artists in the download era and has never fought shy of sticking up for his beliefs regarding copyright and contract law. As a solo artist he has combined his musical acumen with his staunch idealism and is widely regarded as being one of American rock’s greatest vocalists with a songbook to match his distinctive delivery. 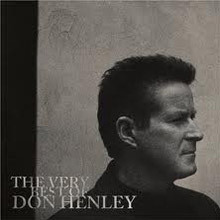 With Henley back in the driving and drumming seat with his parent group Inside Job (2000) was another well-received release but we point you towards The Very Best of Don Henley, available in a deluxe version that contains extra bonus audio and DVD. This came out in 2009 but it’s unlikely to be the last word on his idiosyncratic take regarding the American condition from Mr Henley. He remains one of the most insightful commentators on modern society viewed through a rock star’s eyes that we have. Turn up the Don Henley, the neighbours are listening. 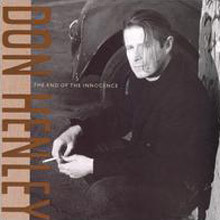 Released in 1989, The End of the Innocence is the third album by Don Henley. It is his best selling album, selling over 6 million copies in the United States, peaking at #8. The album released three Top 40 singles "The End of the Innocence", "The Heart of the Matter", and "The Last Worthless Evening". Those singles reached #8, #21, and #21 respectively. The album also featured "New York Minute" which reached #48 on the charts and was recorded by Henley and the Eagles for the live album Hell Freezes Over in 1994. Henley won another Grammy and an MTV Video Music Award for the title track. In 2003, the album was ranked number 389 on Rolling Stone magazine's list of the 500 greatest albums of all time. The song "I Will Not Go Quietly" features Axl Rose, a member of Henley's then-labelmates Guns N' Roses. Building the Perfect Beast is the second album by Don Henley, released in 1984. The album became a huge hit for Henley, making him a solo star, and was critically acclaimed. The album reached #13 on the charts and sold three million copies. It also released four Top 40 singles including "The Boys Of Summer", which won Henley numerous awards and became one of his most popular songs. "The Boys Of Summer", "All She Wants To Do Is Dance", "Not Enough Love In The World", and "Sunset Grill" reached #5, #9, #34, and #22 respectively. Henley won a Grammy for "The Boys Of Summer" and four MTV Video Music Awards. The album is notable for the fact that three-fifths of the then line-up of Tom Petty and the Heartbreakers contributed to the writing of the songs - guitarist Mike Campbell, keyboard man Benmont Tench and drummer Stan Lynch, the latter of which would later collaborate with Henley in composing the Eagles' song "Learn to Be Still". 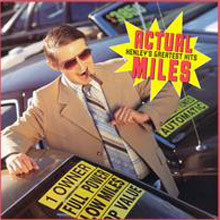 Actual Miles: Henley's Greatest Hits is a greatest hits album by American singer/songwriter Don Henley, released in 1995. The album was the first compilation album released by Henley and it covered hits from all three of his solo albums throughout the 1980s. 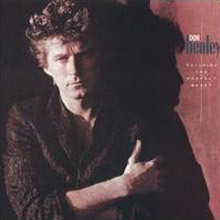 The album features three new songs, "The Garden of Allah", "You Don't Know Me At All", and Henley's cover of "Everybody Knows". The collection peaked at #48 on the charts and reached platinum status. "The Garden Of Allah" reached #16 on the Mainstream Rock Tracks chart.